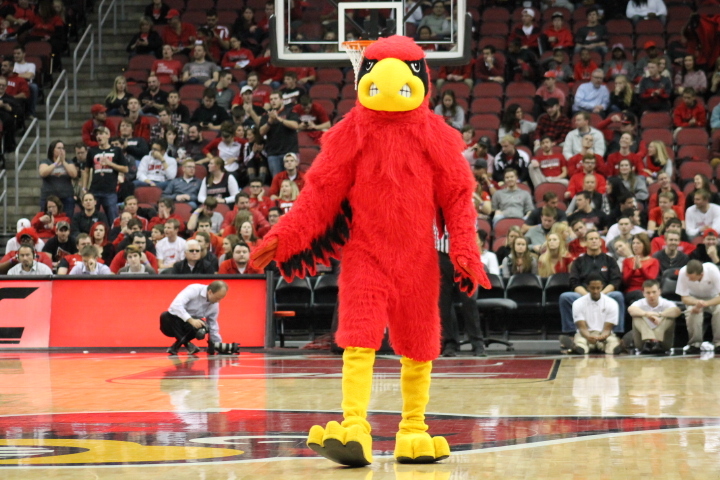 This Louisville Basketball season will be like a fun rollercoaster ride. That loss on Wednesday was one that didn’t really seem like a loss at all. Our guys came out playing inspired basketball and gave the #5 team in the country all they wanted. This Louisville team is going to win some big games this season but it won’t be without the growing pains. Learning and adapting to a new style of play, learning a new defense and just learning how to win close games will all be a part of it. I couldn’t wipe the smile off of my face on Wednesday night. Just the offensive prowess of this Louisville group is enough alone to be optimistic. Tennessee came into that game allowing just under 60 points a game and our Cardinals put up 81 on them. It was defense and turnovers that ultimately cost the Cards. Louisville shot 44.1% from the field and 39.3% from beyond the arc, however, allowed Tennessee to shoot 54.0% from the field in the loss. Louisville was outrebounded by Tennessee by a 38-32 margin and lost the turnover battle by a 14-10 margin. Tonight an old rivalry will be renewed as the Cards take on Marquette in the consolation game of the NIT Season Tip-Off. The defense will once again be the biggest concern for our Cardinals as they come into this game ranked just 231st in scoring defense and 256th in defensive FG%. Marquette is averaging 74.8 ppg on 44.0% shooting from the field. The Golden Eagles are averaging 10.0 three-pointers per game on 36.2% shooting from beyond the arc. They have a couple of guys who can really light it up. I don’t think they will pose as big of a threat on the inside as Tennessee did but like Tennessee, they can attack from all levels. Our guys will have to be tougher on this end of the floor and again try not to be careless with the ball on the offensive end. Turnovers also a big part of early season basketball. Jordan Nwora is going to be one of the best players on the floor in every game Louisville plays this season. But has to cut down on those turnovers. It really does neutralize his game. Akoy Agau was a nice surprise in the last game. If Louisville can get that kind of effort from him moving forward it will be a big help to our frontcourt depth. Looking forward to seeing what his follow up performance is tonight. It’s going to be a roller coaster type season but a fun rollercoaster, not the scary kind. I think we will enjoy watching this team learn and grow over the course of it. I’m looking forward to another step along that journey tonight. Go Cards!